The arty and bohemian city of Granada is home to some great flea markets and thrift stores, meaning those shopping on a budget will find plenty to please here – not to mention a wonderful secondhand book and record store that will delight even the most discerning collector. 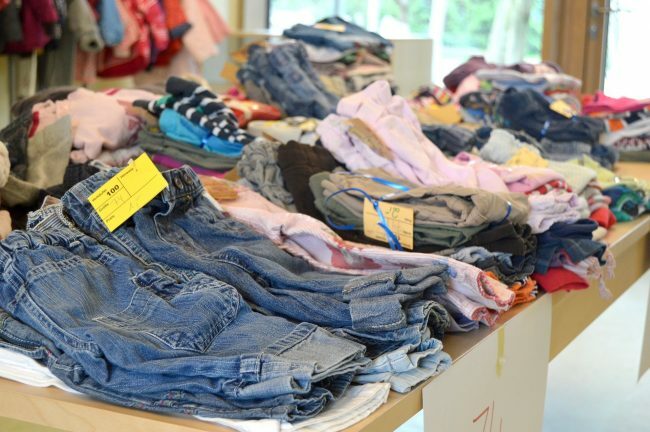 Read on for more about Granada’s best secondhand outlets and street markets. 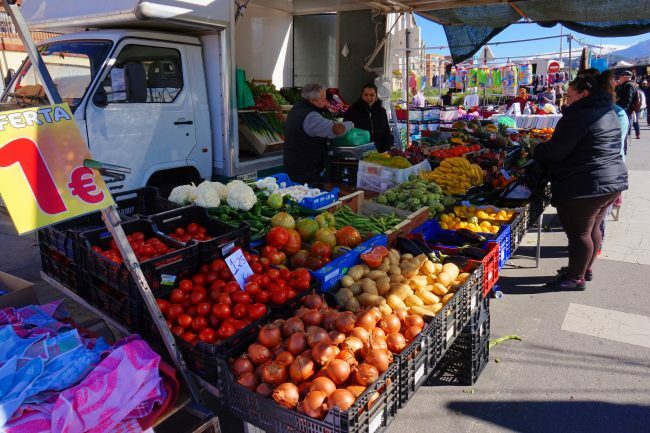 Unlike the posh Mercado San Agustín – situated in the city centre on the established tourist track – this Wednesday morning market is intended primarily for the residents of La Chana, a fact which is reflected in the ridiculously low prices. Vendors tout for business from the back of vans or on upturned boxes, and the atmosphere is every bit as chaotic and lively as you’d expect from one of Granada’s most densely-populated residential quarters. A good selection for fresh fruit and vegetables is on offer, as well as cheap clothing and basic household products. Arrive early (taking Calle Washington Irving off La Chana’s main drag, the Carretera de Malaga) for the best buys, because by lunchtime stallholders are ready to pack up and head for a cold beer and some tapas. 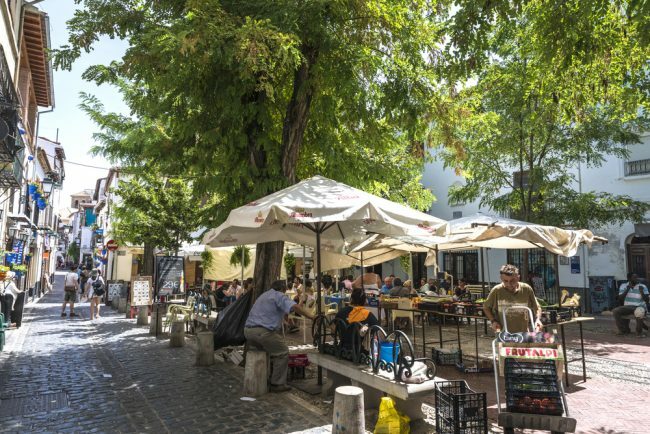 After brushing up on your haggling skills in Spanish, head to the rough-and-ready yet fascinating neighbourhood of Zaidín on Saturday morning. Granada’s most populated quarter hosts a vast flea market where vendors will volubly try and sell you everything from fruit and vegetables to clothing and footwear. The Zaidín market is a little way out of Granada’s historical town centre, but the walk takes you on a lovely route down the Acerca del Darro (on which, often, you will find stalls selling objects made by local artisans) and over the Genil, Granada’s principal river. This is Granada’s biggest flea market and a great place for for treasure and bargain hunting. By far and away Granada’s coolest secondhand book and records store, Reciclaje is a must-visit for any music or literature lover. Every inch of shelfspace in its small interior is crammed with comics, CDs, books, vinyl and posters from all genres and decades, making this shop a collectors’ dream. 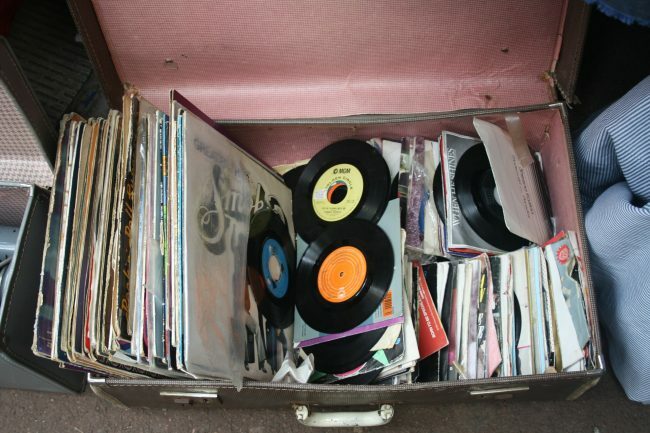 Reciclaje is for those who like to physically own their music and their books, rather than downloading them – and the fact that it’s always bustling with engrossed browers indicates that, in Granada at least, there are plenty such people still around. Long may that continue, as wonderful shops like this are an increasingly rare thing. Plaza Larga’s Saturday flea market is situated at the top of Albaicín, Granada’s former Arabic quarter, on one of its prettiest squares. It’s great for vegetables, fruit and flowers, all of which are attractively displayed next to Arabic fabrics and ceramics (and sometimes pirated CDs and DVDs) in the middle of the plaza, surrounded by the terraces of local tapas bars. It also happens to take place on this barrio’s most bohemian square – a space in which clouds of marijuana smoke drift around from the local hippies’ joints, making your shopping trip that much more interesting. Small wonder so much of the stuff is smoked here: just down the street, on Calle Panadero, is a mysterious outlet nickamed ‘The Magic Door‘, where it’s said that locals buy their favourite herb. Located opposite the Triunfo park at the end of the stately Gran Via, Pandava is one of the best secondhand clothing stores in Granada. Don’t be deceived by its tiny space – all manner of sartorial bargains can be found within, particularly cool summer clothing and Indian-style garments. And that’s not all: Pandava is also a cultural centre, offering yoga clases and events centered around Indian and Hindu culture. Frequent offers and sales mean you can snap up funky little items for just over a dollar, making this a must for any shopper on a budget. With stores in several major Spanish cities – including the Andalusian capital of Seville – Humana is now a well-established used clothing store. Its principal Granada outlet is a little way out of the historical town centre, but if you’re looking to extend your wardrobe without denting your wallet, it’s worth the picturesque walk down Gran Via and through the beautiful Triunfo gardens. Humana is particularly strong on vintage clothing and shabby-chic (as is fitting for bohemian, arty Granada) but there is a good selection of other styles available too. Prices are extremely competitive.